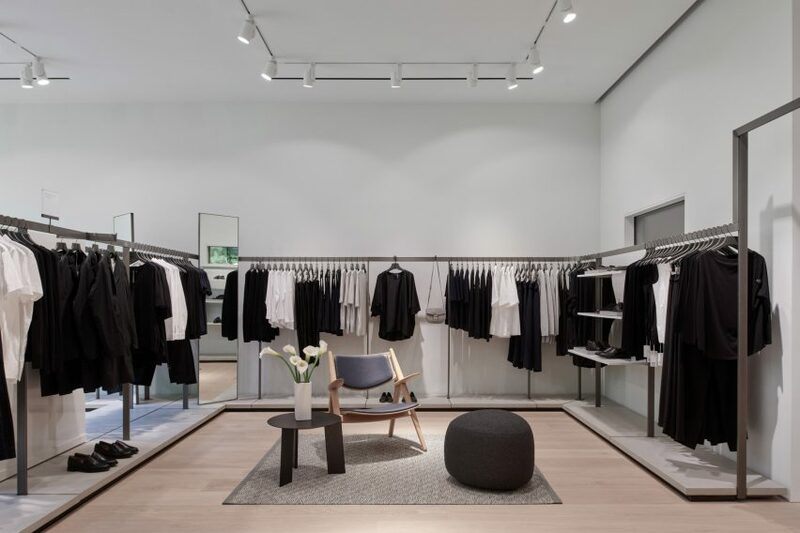 The works of architect Ludwig Mies van der Rohe and artist Piet Mondrian influenced the geometric and pared-back design of this shop for fashion brand COS. 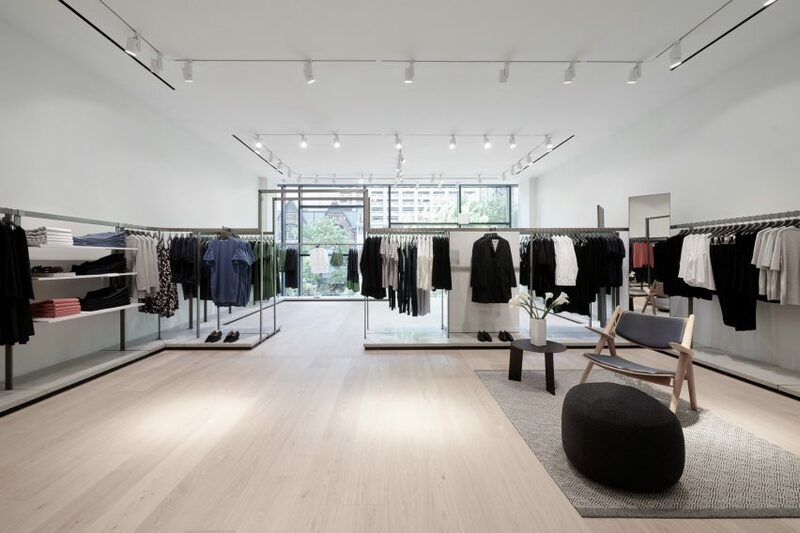 The first COS store in Chicago occupies a new four-storey building on East Oak Street, designed by the company’s in-house team of architects. 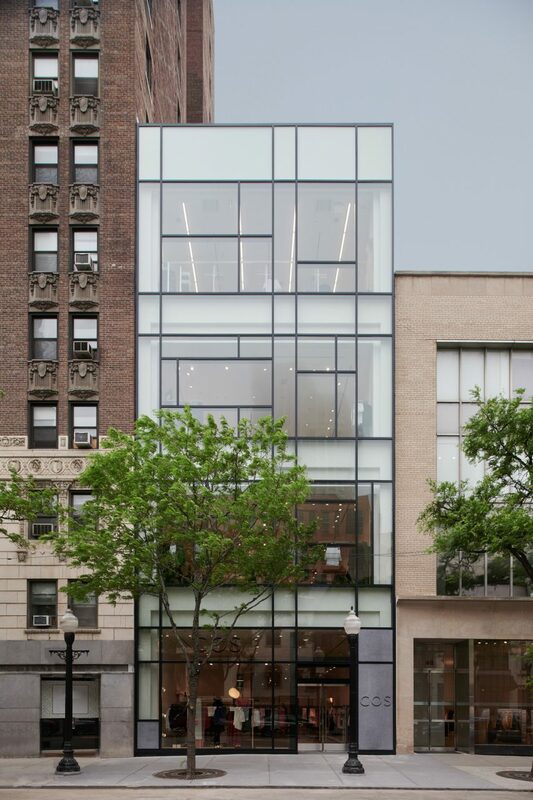 Sandwiched between two existing structures, the slender front facade is made up almost entirely of glass. The panels are arranged in overlapping grids of rectangles, like those found in the paintings of Dutch artist Mondrian. The thin metal frames and expanses of glazing is also reminiscent of the buildings by Mies van der Rohe, who designed some of Chicago’s most recognisable 20th-century architecture. 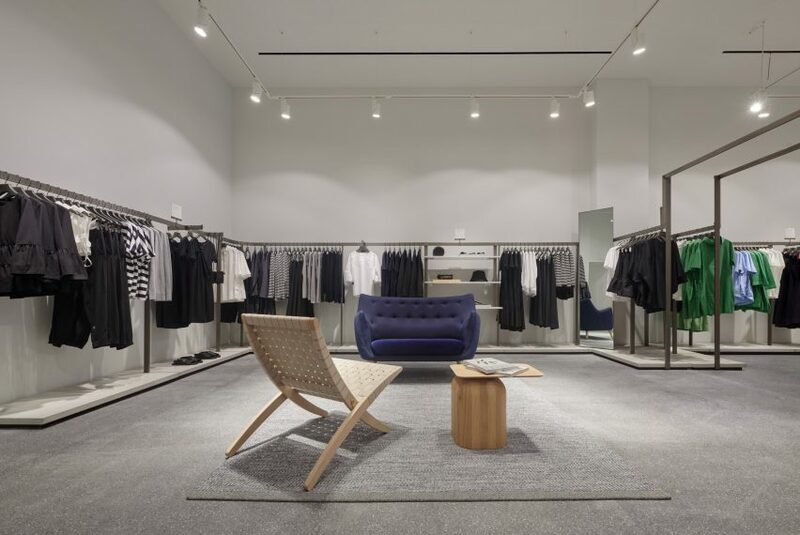 Totalling 5,700 square feet (530 square metres) of sales area, the store is the brand’s largest in the US, and carries women’s, men’s and children’s collections. 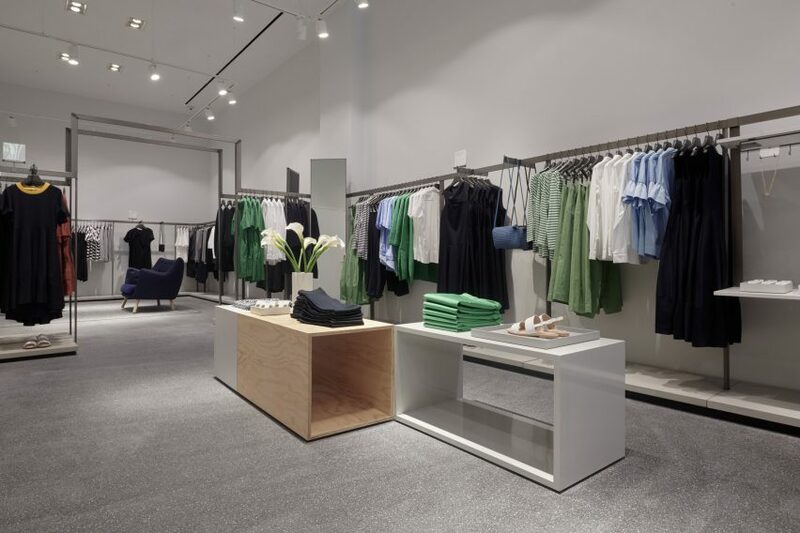 The open floors are divided into smaller areas by metal frames that act as clothes rails, and form arches in places for shoppers to pass through. The display railings run around the perimeter of the rooms, interspersed with shelves for folded items and accompanied by platforms just above the floor for presenting shoes. Lounge areas are created with furniture by mid-century designers like Charles and Ray Eames, Hans J Wegner and Finn Juhl. The colour palette throughout is kept neutral, with white walls, and flooring in either pale wood or grey stone. “We are thrilled to have opened COS Chicago and to now be present in a city that inspires us with its creative influence and architectural history,” said managing director Marie Honda, who also spoke about the importance of architecture and design to the brand during an interview with Dezeen in 2014. COS is headquartered in London, where its offices are in an art-deco building that was recently renovated by Orms. The brand frequently collaborates with architects and designers on pop-ups and installations, which it uses instead of traditional advertising. Recent projects have included a faceted mirror structure created by Phillip K Smith III in a 16th-century palazzo courtyard, an artificial tree that blossoms with mist-filled bubbles by Studio Swine, and a snaking marble run by Snarkitecture.